When you grow up as an American Jewish kid obsessed with pop culture, it’s never long before you figure out that only one holiday matters in December. Shiny and sweet, Christmas is everywhere, and in everything. It’s in Starbucks. It points to your days off from school. Christmas glows from all your neighbors lawns and in all your friends’ Instagram stories. It is in the movie theaters, on the radio, and all over your television. And that’s great! There’s always joy to be savored from watching friends celebrate, from days off and holiday specials. But after years of watching the great parade go by, it’s hard not to want a piece of the action. It’s true that the Jewish holiday of Chanukah is quite minor as these things go (certainly not “Jewish Christmas,” or any such thing) but it does seem to be the one that broader American culture has managed to grasp and wink at from time to time. The awkward “Happy Hanukah!” used to identify Jewish characters on television is, at least, a familiar trope by now. But whether this is straight-up bonkers or one of those half-good ideas, there’s one other thing I know. Sometimes, when you want to see your own story, you just have to do it yourself. So here I go. For the Brooklyn Nine-Nine Chanukah episode of my dreams, I want the show to pull out all the stops. Don’t give me a side-plot or a throwaway joke! This can’t be Sully and Hitchcock-level stuff. I want Jake confronted with a confounding, Hanukah-related mystery — finding the culprit behind a vandalized exhibit at the Brooklyn Jewish Museum, for example — that Jake is determined to solve in eight nights or less. And I want the entire Nine-Nine crew to get involved. I want Amy freaking out about buying her new husband an appropriate gift for each night of Hanukah! I want Charles to all but kill himself over a potato grater and nearly set the precinct on fire while attempting to make latkes, as Jews have done faithfully for centuries! I want Captain Holt and Terry to tie their tongues as they to pronounce the “Ch” in Chanukah, while Rosa finds herself in a dreidel-off with Gina! And I want Brooklyn Nine-Nine to do what they do best: Acknowledge life’s realities with humor, empathy, and love. 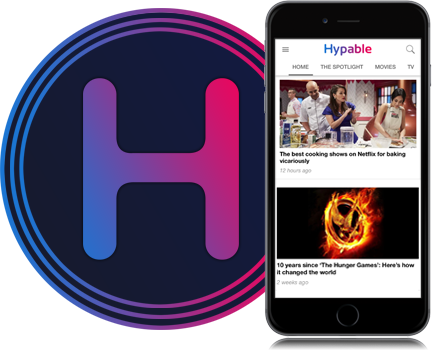 It’s a sad fact that hate crimes and anti-Semitism are on the rise; Brooklyn Nine-Nine is the perfect show to tackle that painful subject while celebrating the bright lights that keep us warm in dark times. Perhaps ironically for a dystopian series set in nightmare of twisted pseudo-Christian hegemony, it’s very easy to imagine a Chanukah episode of The Handmaid’s Tale. 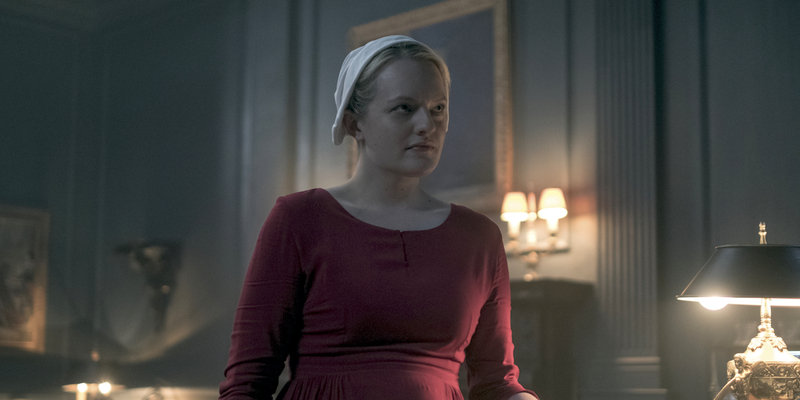 Though the Unwoman rabbi in the Colonies is the only known Jewish character on the show, part of the Chanukah narrative involves survival against religious oppression — conditions that The Handmaid’s Tale replicates perfectly. So for a Handmaid’s Tale Chanukah episode (which honestly almost writes itself) I’m imagining a tale of underground resistance and ritual observance, perhaps as part of June’s journey with Mayday. I want to see classic Christian holidays interpreted among the loyal and privileged of Gilead, with a sharp contrast to makeshift menorahs lit in secret underground. (A scene, incidentally, that has been repeated in times of oppression throughout Jewish history.) I want the power in secret defiance, a familiar idea in The Handmaid’s Tale, to be highlighted in the context of Chanukah. The episode would get bonus points if some reference can be made to the significance of the dreidel to the holiday! The top-spinning game was said to have been played as a ruse to hide the outlawed study of Jewish texts, and I’ll be darned if there isn’t some parallel to be made as critical Mayday information tries to sprout amidst the choking weeds of Gilead. And one more point: The Handmaid’s Tale is well-practiced at employing the Old Testament to bolster Gilead’s horrific philosophies. The least they can do is wave to the functional realities of real Jewish life for a minute. 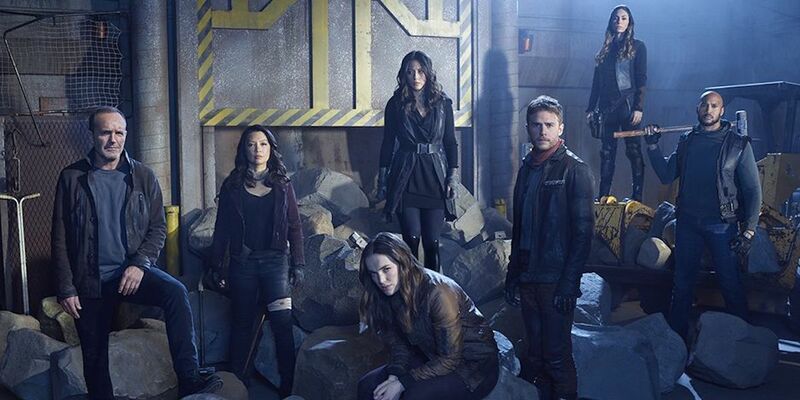 Like the rest of the Marvel Cinematic Universe, Agents of S.H.I.E.L.D. shades the line between contemporary fiction and pure fantasy. (Time travel and superpowers: I shall say no more.) And like the rest of the MCU, Agents of S.H.I.E.L.D. has almost no references to real-world holidays, though it does emphasize the Christian faith of characters like Mack and Elena. So coming up with an Agents of S.H.I.E.L.D. Chanukah episode is tricky. Which leads me to that last resort of the desperate and under-represented: The Original Character. Finally, Ms. Blatant OC will find herself on a dangerous mission with the half the team (#splittheparty) wherein they find themselves trapped in a cold and hopeless place. There is hardly any light, no way to science their way out, and almost no chance of rescue. Worn down by a world in pieces, the S.H.I.E.L.D. team begins to despair… until OC tells them a story. A story about how hard it can be to keep the light in a world where everything you knew has been lost. About how her whole family was taken in Thanos’s snap, and only their things left behind… among them, a small menorah that her mother would light every year. A menorah she kept, unsure if she could bear to keep up the tradition when reality itself seemed to tell her not to bother. But that, after all, is the story of Chanukah — lighting the smallest spark against incredible odds. She doesn’t have the menorah here, the OC admits, but she does have a spark — and sends flames out from every finger, a light that fills the freezing space and allows for their unlikely rescue. Look, I know this is cheesy. Don’t @ me. If you guys can have A Christmas Prince, I can have this! Entering the realm of magical realism/fantasy isn’t the only reason why it’s tricky to contemplate a Good Place Chanukah episode. To date, the comedy of moral philosophy has scrupulously avoided engaging with any specific religious context, for all that it takes place in the Afterlife. 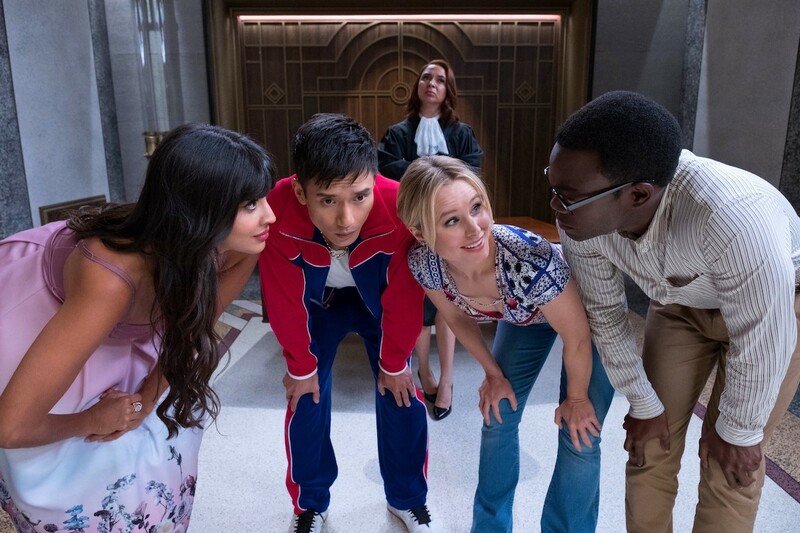 But that doesn’t mean that The Good Place has nothing to say about the concepts inherent in religion, many of which are as universal as any idea of Aristotle’s. In this case, an episode that includes a significant reference to Chanukah would be the perfect opportunity for The Good Place to tackle the concept of rituals. What does philosophy have to say about the role of rituals in our moral lives? What’s the difference between scrupulously following religious law and Chidi’s terrified determination to adhere to the highest moral standards? Can decorating a Christmas tree or lighting a menorah come from the same place as Jason’s devotion to the Jacksonville Jaguars, or Tahani’s reflexive name-dropping? And where do beings like Michael and Janet fall into this conversation? Michael, driven by conflicting desires, certainly doesn’t seem immune from ritual and rules that order his world — just look at his obsessive preoccupation with Eleanor’s fate. Even Janet, as she becomes more human and less not-a-robot, is starting to lean (however slightly) toward the need for certain and stability that ritual provides. Granted, my Dragon Prince Chanukah episode can’t directly reference the holiday, or Jewish people, or anything else that doesn’t exist in the magical land of Xadia. But you know what does exist in Xadia? Triangular jelly tarts, modeled on Hamentashen, a traditional pastry eaten on a different Jewish holiday. And if Xadia has one Jewish-ish pastry, by golly, it can have another! Its traditional to eat food fried in oil on Chanukah, so I submit sufganiyot (aka doughnuts) as Prince Ezran and Bait’s newest confectionary obsession. They even often have jelly inside; seriously, this isn’t a difficult sell. All of these ideas are echoed in the story of Chanukah, from the Greek invasion of Judea to the defilement of the Temple. So let’s use it! Let’s have the Dragon Queen’s forces reclaim their sacred object. Let’s have Callum and Rayla talk about what it means to have your home invaded and your rituals challenged. Let’s dig in to how the humans of Xadia pass judgement on their magical counterparts, and vice versa. 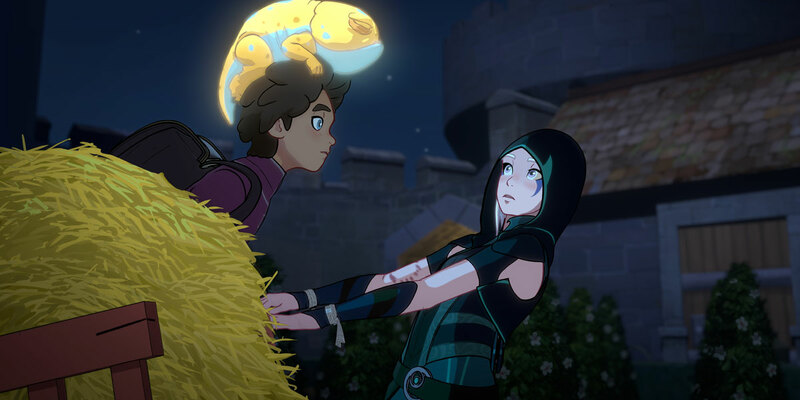 Even though The Dragon Prince is about as distant from reality as it gets, I have great hopes that they will tackle these themes with the integrity and care they have shown so far. Somewhere down the line, The Dragon Prince may just give me something I can call a Chanukah episode — even if it has elves and magic instead of Maccabees and light. At the very least, maybe there will be doughnuts. Yes, folks. A Game of Thrones Chanukah episode. Here it goes. We’re doing this. SCENE: It’s finally happened. The White Walkers have breached the Seven Kingdoms, spreading death and winter throughout the whole of Westeros. Daenerys Targaryen, Jon Snow, and the armies of the living have been fighting their hardest, sending fire and life against the murderous wintery undead for what seems like a lifetime. But the battle is close to lost. With every kill, the wights gain a new deadly fighter; thousands of friends and allies have turned to mindless foes, and our heroes are surrounded. Even Daenerys’ second dragon Rhaegal has fallen and been turned against her by the Walkers. Now only Drogon stands as fiery bastion against the endless tide of winter and death. And Drogon is wounded. His great wings are punctured and torn, his belly scarred by the Walkers’s infernal projectiles. Hunger has weakened him, his fires burn low; the last dragon aches for rest. He barely has one more breath within him. But there can be no rest while the White Walkers live. One last time, exhausted and sick, Daenerys turns her dragon to the ice-white sky. And as Drogon wheels higher and higher above the desolation of Westeros, he inhales… and breathes out a river of flame. A torrent unending, fire that follows the beating of his wings and sweeps across all Seven Kingdoms and the Riverlands, finding undead flesh and their cold masters. Eight huge territories burn on a breath hardly strong enough to incinerate one. The fire is life, a sign that the forces of humanity will prevail. The war ends. The strong have fallen to the weak, the many to the few. 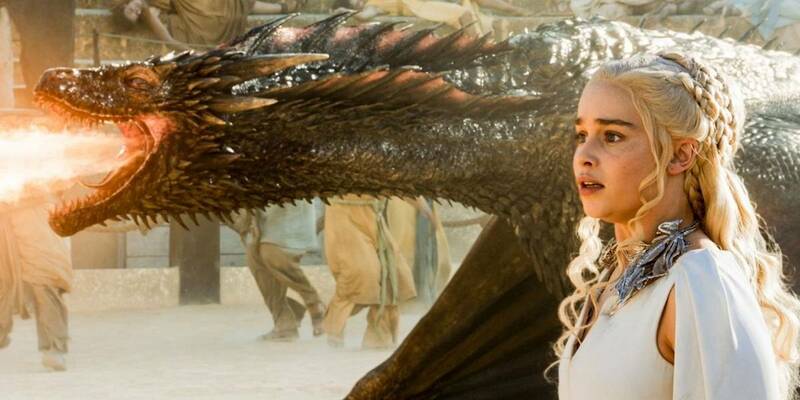 Daenerys blinks back tears as Drogon settles for the last time in the wreckage of Kings Landing. For the first time in years, a Spring rain begins to fall. It’s a Chanukah miracle. At least in my opinion.